Small enough to cook relatively quickly, but large and elegant enough to make a centerpiece roast, this is the kind of roast to pull out when you're feeling extra fancy on a weeknight. 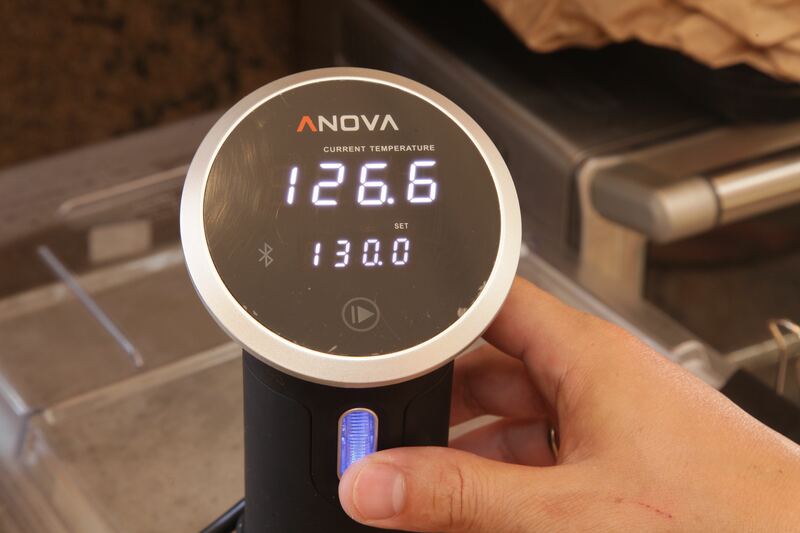 Preheat a water bath using the Precision Cooker to the desired finishing temperature according to the chart above. 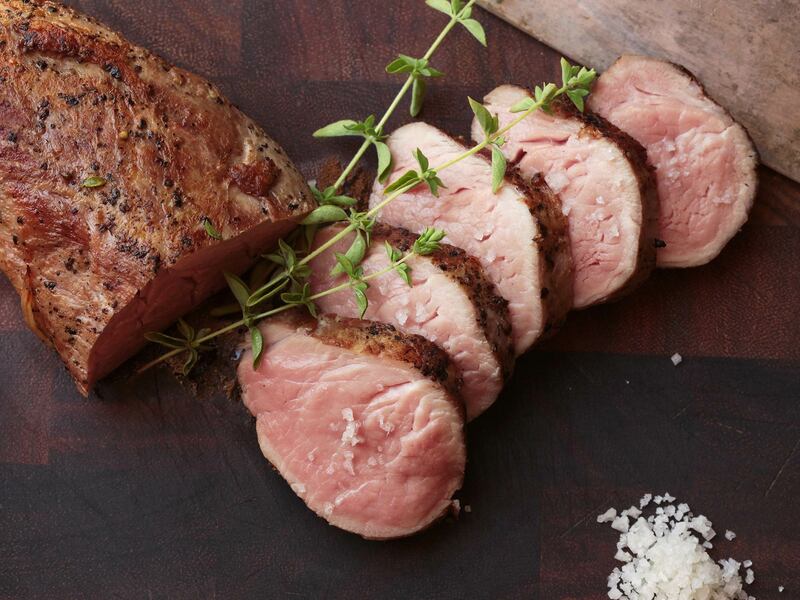 Season pork generously on all sides with salt and pepper. 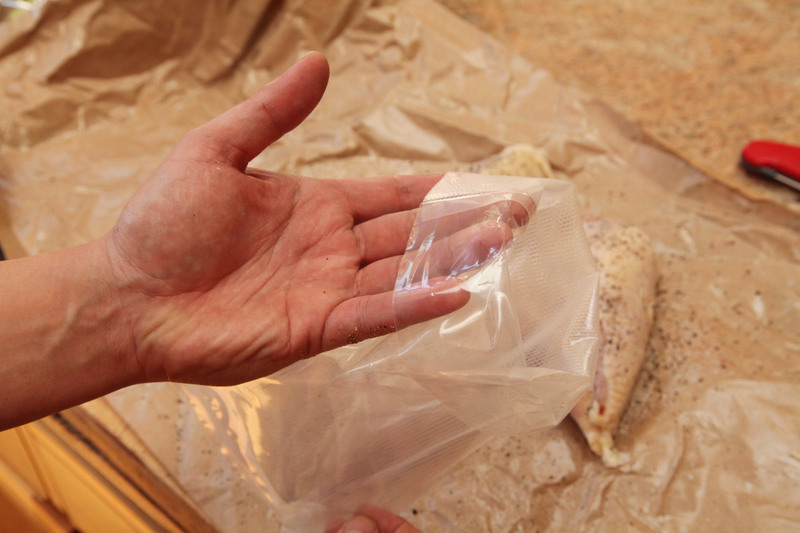 To bag the pork, start by folding the top of a vacuum-seal or zipper-lock bag back over itself to form a hem. This will prevent juices from getting on the edges of the bag which would interfere with the seal or provide vectors for contamination. Slide the pork into the bag along with any aromatics such as fresh herbs or spices (if using), then unfold the edge before closing the bag. 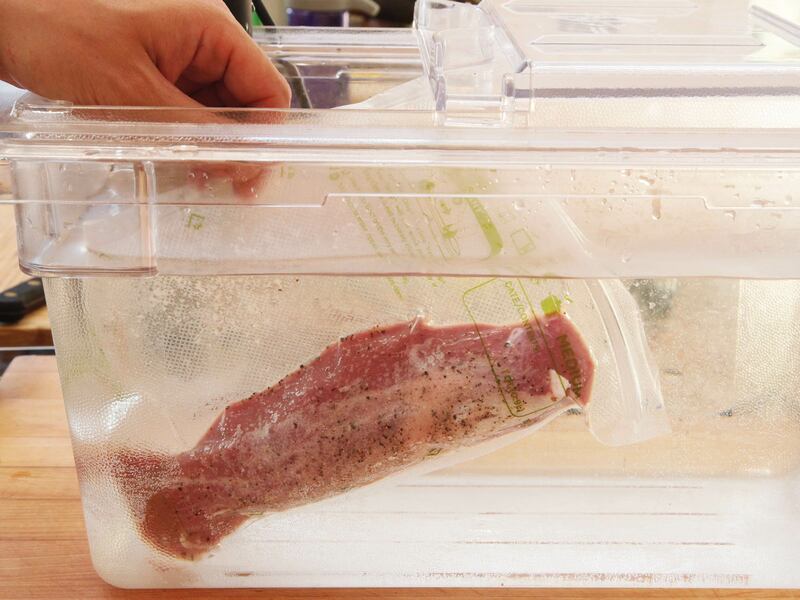 Remove the pork from the water bath and remove it from the bag, discarding any aromatics. 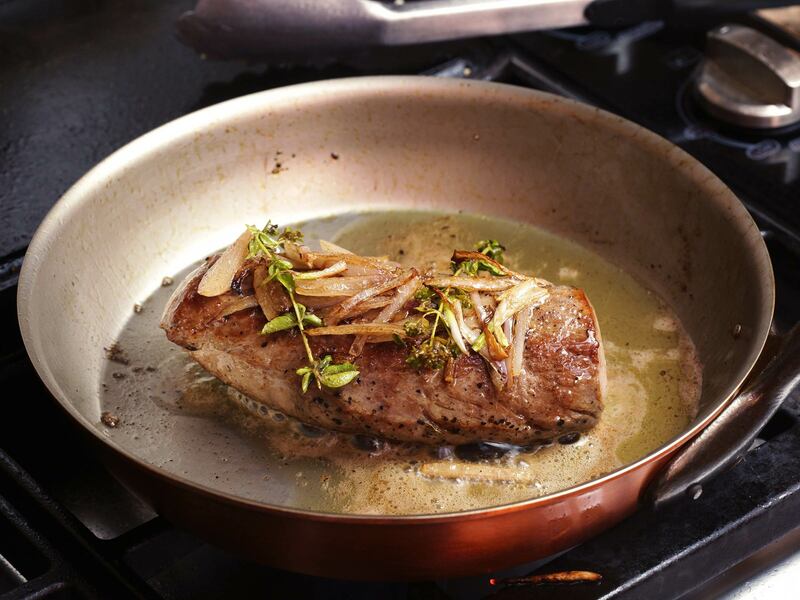 You can save the juice to deglaze your pan later on for a pan sauce if desired. 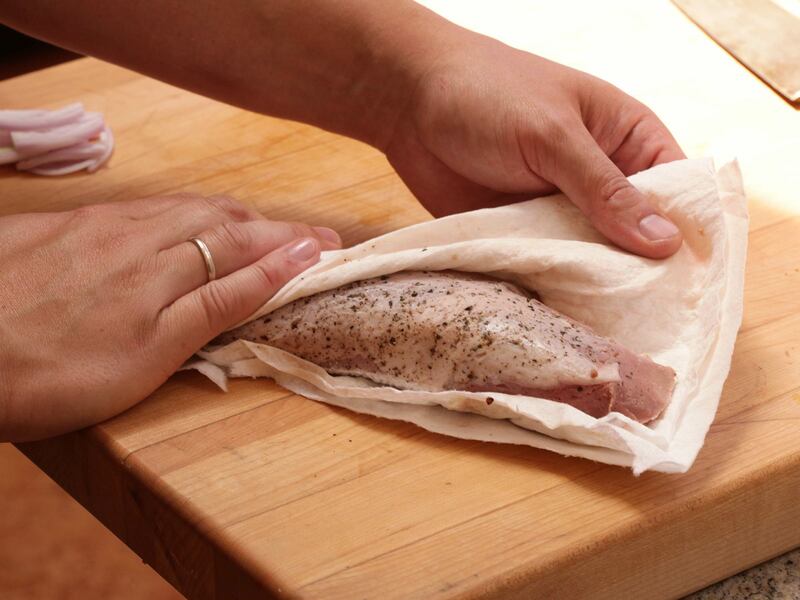 Carefully pat the pork dry using paper towels. 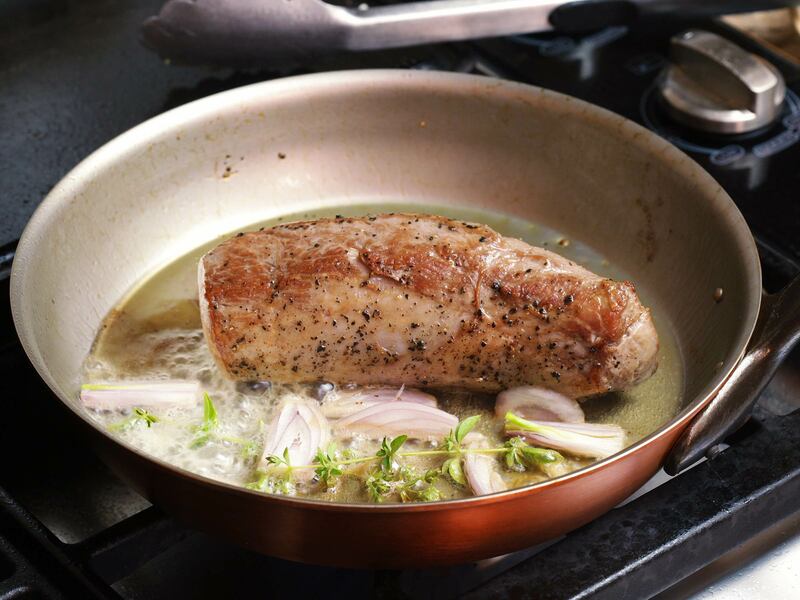 Heat a tablespoon of oil over high heat in a heavy skillet large enough to fit the pork (you can also cut the pork in half to fit into a smaller skillet). When shimmering, add the pork and cook, turning occasionally, until it is well-browned on most sides, about 2 minutes total. When you get to the final side, add a tablespoon of butter along with fresh aromatics like shallots, garlic, thyme, or oregano (if desired). 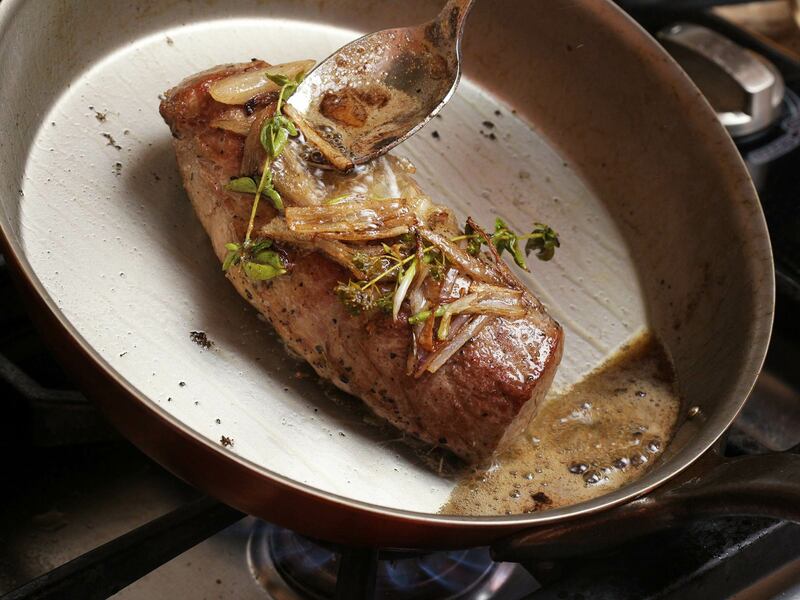 Spoon the melting butter and aromatics over the pork. continue cooking until the final side is browned, about 45 seconds longer. 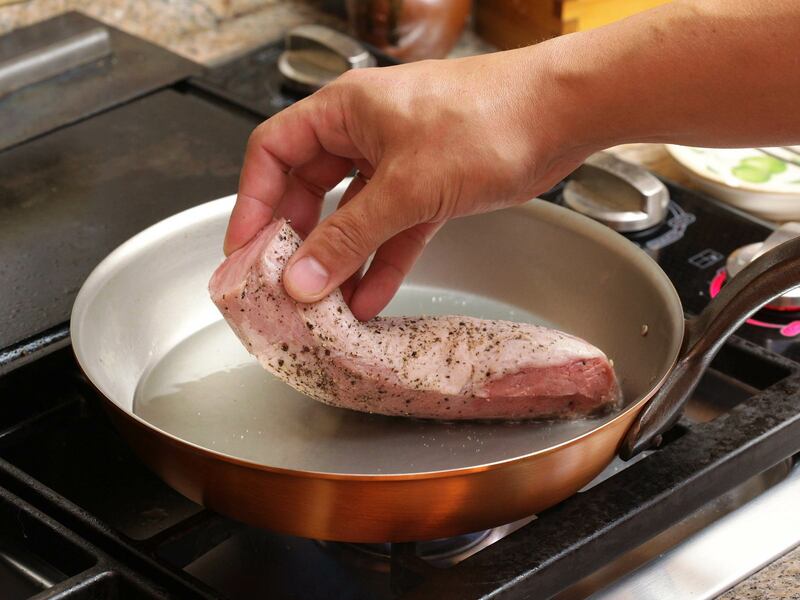 Transfer the pork to a wire rack set in a rimmed baking sheet. If you're planning to make a pan sauce, skip to the next step. Otherwise, pour the drippings over it. OPTIONAL: If you'd like a simple sauce with your pork, add one tablespoon of minced shallot to the skillet and sauté until aromatic, about 15 seconds. Add a cup of dry white wine or vermouth and let it reduce by half. Add a dollop of whole grain mustard, the liquid reserved from the sous vide bag, and a tablespoon of butter. Swirl until the sauce is emulsified and season to taste with salt and pepper. Remove from heat. 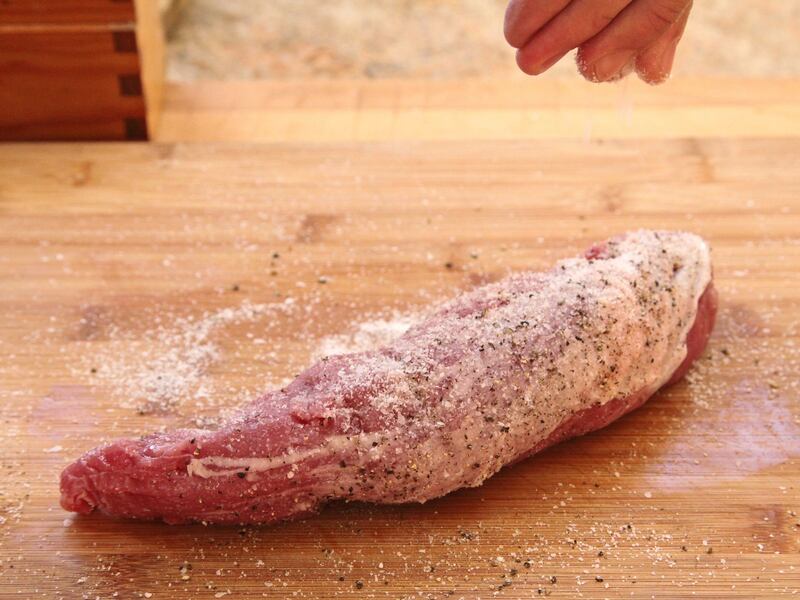 Discard the aromatics, slice the pork, and serve, spooning the sauce on top or simply with a sprinkle of coarse sea salt.